The journey of the Neumann sisters continues in this new novel from Jody Hedlund. Marianne Neumann has taken a job with the Children's Aid Society largely because it will give her the opportunity to search for her missing sister Sophie. On the brink of her first trip as a placing agent, Marianne wonders how she can travel the Orphan Train and not completely lose her heart to the children in her care. Alongside Marianne is gregarious seasoned agent Drew Brady. Drew finds Marianne beautiful, but while he enjoys flirting he has no desire to settle down. His first priority is with the children and finding good homes for them. There are adventures while traveling with more than thirty children. Some of the orphans are young and in need of tender love and care, while some are older and surly, hardened from their years on the streets of New York City. Drew and Marianne grow closer as they must rely on each other to see this challenging journey through its conclusion. Near their final stop things take a sudden and drastic turn. Danger, lies, and the actions of the past threaten to tear apart everything that Drew has come to value, and Marianne faces decisions of her own. What if what she once desired now no longer holds the same appeal? Where does the line lie between duty and desire? Historical romance fans will find much to enjoy in this series! I can hardly wait for the final book to be released in December! I received a copy of this book from the author. All opinions in this review are my own. Abbie Watson has her hands full keeping the Rose Island lighthouse running, as well as caring for her elderly grandfather. Although Gramps is spry, his dementia means that most days he doesn't recognize Abbie and thinks he's living a few decades in the past. Abbie is doing everything she can to hold their tremulous lives together, knowing any day they could lose their status as light keepers and be kicked off the island. When an unknown man washes ashore after a storm, Abbie has no intention of tricking him or using his presence for her own gain. But when he wakes up and assumes he's her husband, it's a little too easy to pretend. Maybe having a young healthy man around will convince the superintendent to give them more time. Especially since Gramps seems much calmer and more aware of the present when the stranger is around. Nathaniel can remember nothing about his previous life. He only remembers feelings of sadness and that he has disappointed people, but now he's been given the chance to start over with a clean slate. He realizes he must have been a very bad husband to have his wife behave in such a shy and skittish way around him, and he's determined that things will be better this time around. What starts as an innocent mistake on Nathaniel's part soon grows to a situation beyond Abbie's control. Nathaniel really is winning her over, but now she has no idea how to tell him the truth. Is it possible that their budding feelings will survive when his memories return? Or will the fact that he's wealthy with a long list of bad decisions in his past make the divide between them insurmountable? There were quite a few twists and turns in this story that kept me uncertain about how everything would resolve until the final pages. I enjoyed the theme of second chances, as well as one with which I have personal experience - not letting the actions of our parents determine the outcome of our own lives. This was a strong plot to wrap up the Beacons of Hope series! Preparing for her wedding should be one of the happiest times in Victoria Cole's life, but with an unknown assailant out to kidnap her, it's been far from ideal. Her father's wealth has always put her in some danger, but things become serious when Victoria's bodyguard is severely injured but manages to fiend off the attacker. Further attacks prove that it is no longer safe for her to stay in New York City. Tom Cushman was reluctant to accept the position as Victoria's bodyguard, feeling like it was not his job to babysit a spoiled and rich young woman. While Victoria may be stubborn, there's also a sweetness to her that Tom cannot ignore. As the danger escalates, Tom suggests moving Victoria somewhere remote and unexpected. He knows just the spot - with his parents at the Race Point lighthouse on Cape Cod. The best way to keep Victoria safe is to keep her location completely a secret from nearly everyone back home, and to keep her identity under wraps from Tom's parents and other people they may meet at the lighthouse. Such measures and the isolated area allow Victoria to see a side of life that is completely new to her - no servants, no friends, no one to take care of things for her. Plus Tom's parents are unlike anyone she has ever met, and they challenge her view on the way life works. This book had an interesting opening, but I felt like the middle section was mostly Victoria and Tom trying and failing to keep their relationship appropriate. That part was heavier on the romance than I prefer, and I wouldn't recommend this for young readers. However, the story rebounded with two big twists at the end which I did not see coming, which is highly unusual in this kind of novel. I look forward to reading the final book in this series soon! Michigan's Upper Peninsula was not a place for the faint of heart in 1871, but that makes it the perfect place for Tessa Taylor to start over. A foolish mistake has haunted this teacher everywhere, but surely this remote mining community will not ask too many questions about someone willing to embrace the isolation in order to teach their children. Tessa's plan seems to be in good order until she meets Percival Updegraff, the underhanded yet overbearing man in charge of Eagle Harbor. He's determined to make things difficult for anyone who stands up against him, and Tessa may not want to draw attention to herself, but she's not the kind of woman who will give Percival everything he wants. Assistant lightkeeper Alex Bjorklund has never met anyone like Tessa. He and his widower brother are both smitten with the dark-haired teacher, but she seems determined to keep them at arms' length. Alex wants to pursue her but he is also happy to see hope coming back into his brother's life. While Alex is torn between following his heart or stepping aside, he's determined not to let Percival harm Tessa or any other Eagle Harbor families if he can help it. Tessa feels much attraction to Alex but she knows the fight for Eagle Harbor is about more than herself. No matter how carefully she behaves, trouble seems to follow. When Alex and his brother are jailed on charges of arson, Tessa must decide whether to fight or give in to Percival in order to help her friends. 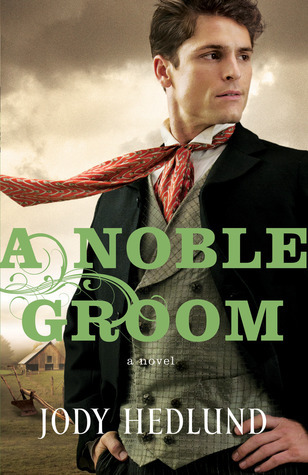 This book was very much in what I consider classic Hedlund style, along the lines of A Noble Groom. It's romantic, it's kind of predictable, there's an interesting location and time period in the setting. It kept me coming back. I look forward to reading the rest of this series! Immediately following the events of prequel novella "An Awakened Heart," we find ourselves in 1857 in New York City during the beginning of a financial crisis. 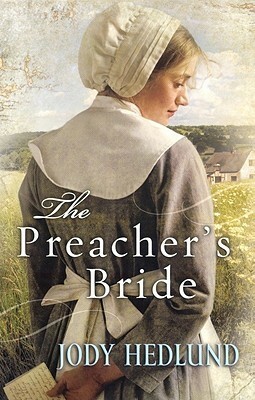 Elise Neumann and her siblings are staying and working at the Seventh Street Mission under the care of Christine Pendleton, but when many jobs are cut and income is lost, Elise decides she must put herself into the care of the Children's Aid Society and head west on the orphan train to look for work. The sisters part with heartbreak and determination that one day they will be reunited again. Thornton Quincy never wanted to be in competition with his twin brother. As heirs of their railroad baron father's estate, only one of them can run the company. To determine the worthiness of his sons, Mr. Quincy has tasked Thornton and Bradford to build towns in rural Illinois and also to tend to matters of the heart - fall in love and get married. Both requirements must be fulfilled within six months. As Thornton travels west to oversee the building of his town, he gets to know Elise. Through the days of railroad travel, the two are quite drawn to each other. Thornton arranges to hire Elise in his town. When Elise discovers that Thornton hasn't revealed everything about his identity, she's angry and feels like she has been bought. The less than ideal circumstances she finds at her job fuel her rancor. When she has the chance to give Thornton a piece of her mind, Elise never dreams that he might listen to her and begin to implement change and reform in the growing community. Knowing that every day counts in the challenge with his brother, Thornton works hard to improve morale with his workers. But even if he can build the more successful town in six months, what about the second half of the stipulation? Falling in love seems impossible since his heart already belongs to Elise. I enjoyed this story by Jody Hedlund. It captures a unique slice of untold history, when the Children's Aid Society actually facilitated the placement of grown women on the orphan train. I hope Elise and her sisters will be featured in the rest of this series, as their story still seemed to be dangling at the end. All historical fans should find something to delight in with this book. This free novella is a prequel to Hedlund's upcoming Orphan Train series, the first of which released last week and I will be reviewing soon. "An Awakened Heart" reads more like an extended prologue than a self-contained story, although it does have a plot and will hold your attention. I would recommend reading it with the next book in hand so you can move straight on into the next part of the story. Set in 1850s New York City, our story opens with Christine Pendleton having a burden to help women who are trapped by horrid working conditions and tenement living. She has begun attending the outreach services at Centre Street Chapel, but feels that preaching without practical help is not what would best serve these women. While Christine has resigned herself to spinsterhood, she is grateful to have enough wealth to not be worried about her own living, and is ready to find a way to use her money for the improvement of her community. Minister Guy Bedell has never met anyone who is as passionate about real, practical reform as the soft-spoken Christine. As he catches her vision and desires to help those who are poverty-stricken, he realizes that his benefactors, the Ladies Home Missionary Society, may think her views too radical. He may have to choose between employment and following God's call. Woven alongside Christine's story is that of Elise Neumann, a teenager who finds herself responsible for her younger sisters after the death of their parents. Although she works all day sewing, she cannot bring in enough to support all of them. Refusing to accept prostitution as a way to pay the rent, Elise is desperate but determined. While her path crosses with Christine's almost randomly, it soon becomes clear that Miss Pendleton's help may be exactly what is needed for the Neumann sisters. I am looking forward to seeing this story continue in "With You Always." John Newton is best known as the man who penned the lyrics of the classic hymn "Amazing Grace." 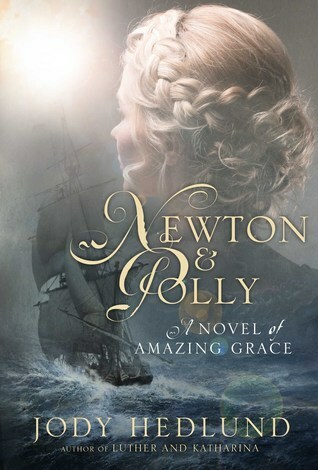 In her new release, Jody Hedlund offers a look into Newton's eighteenth century life, and the story behind the woman who inspired him through many tumultuous years. Still a teenager when he met steady and sensible Polly Catlett, Newton fell head over heels in love with her. Though he was scheduled to leave and take up a job for his father's friend in Jamaica, he overstayed and missed his boat's departure by several weeks, causing him to eventually find other employment as a sailor. This wasn't the only time the rather irresponsible Newton missed out on work because of a desire to stay close to Polly. He really believed that with his charm he could recover from any setback and in time become a man worthy of Polly's hand. Polly struggles with trying to be "good enough" to earn God's favor through a pious life and charitable actions. While she can admit that John's attentions turn her head, she doesn't think he would make a proper husband and provider. Her goals to further her education and find a suitable husband are somewhat in jeopardy by her father's resistance to the local smuggling ring and her cousin's abolitionist antics. When Newton finds himself press-ganged into the navy, his lack of personal diligence soon puts him at odds with his captain and shipmates. Through whippings and storms and time spent in Africa, God is yet calling John to Himself. It is the remembrance of beautiful and pure Polly which helps Newton not completely give up on life, and eventually return to England as a changed man to try to convince her to marry him. I was impressed with the restraint Jody Hedlund showed with this novel. The romance was gentle and not over the top. While by necessity she had to discuss and describe things relating to Britain's slave trade, it was not glorified in any way and kept to a minimum. As usual, the author did a wonderful job keeping things historically accurate. If you'd like more information about this novel, please click here. Thank you to the publisher for my copy of the book. All opinions in this review are my own. Lily Young wants one thing: to find her sister. It's a cold winter in 1883, and Lily is traveling with a photographer who is taking pictures at Michigan lumber camps. Lily's sister Daisy ran away a few months ago and Lily knows she has likely fallen into prostitution. Determined to save Daisy and every other young woman she can from this horrible lifestyle, Lily is on a one-woman reformation crusade. Lily and Oren roll into Harrison and find the usual assortment of rough characters and a few good people. Based on actual historical events, Harrison is largely under the control of a villainous man known for killing and kidnapping. Very few dare to oppose him. That doesn't stop Lily from deciding she'll be the one who begin a change for good in this town. Lumber boss Connell McCormick wants to honorably do his job and let other people make their own decisions. When he finds himself getting to know Lily and often needing to rescue her from her own heedless ambition, he questions how much one should stand against evil or just let things fall where they may. I have to admit that this book did not engage me for a long time. Main characters who are so headstrong that even the soundest counsel is beneath them are possibly my least favorite. Strong is one thing, but strong also means knowing when to listen and act wisely instead of rashly. Eventually in chapter 27 Lily realizes that she may have her priorities mixed up. "Maybe it was time to stop trying so hard to be in control. ...Maybe it was time to start asking God what His plans were instead of always taking matters into her own hands." From that point on the story was a lot better. Like with many Jody Hedlund books, I would not recommend this book for younger readers. I generally enjoy Jody's stories but sometimes they push the boundaries of what I am comfortable with. There is quite a bit of mature subject matter in this one, and coupled with a mostly unlikeable main character makes this one a miss for me. After her father's death, Caroline Taylor bravely kept the lighthouse at Windmill Point running smoothly. 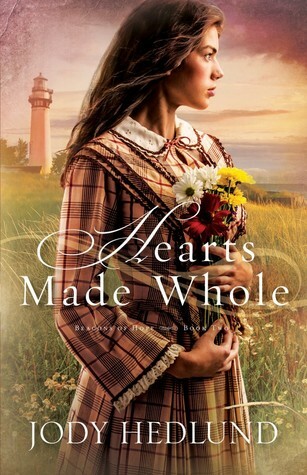 She and her four younger siblings have held out hope that perhaps the lighthouse board would let them stay in their home, but now that that they have hired a man to replace her, Caroline begins wondering if the best course of action is to find someone willing to marry her and take on the responsibility of helping raise her parentless brothers and sisters. Civil War veteran Ryan Chambers is still trying to get over his battle wounds, both physically and emotionally. Haunted by pain and memories of what he has seen, he frequently turns to opium pills and alcohol just to get through each day. At first it seems a miracle that he would be hired as a lighthouse keeper, but soon he realizes the injustice of forcing a capable young woman out when he himself is in no shape to take over the job. Ryan offers the assistant lightkeeper position to Caroline and lets the young Taylor brood remain in the house, while he continues to struggle with the downward pull of his addictions. Caroline is frustrated that Ryan has been hired to replace her, but she also sees that underneath his problems there's a man who was once kind and gentle. She wants to believe the best of him and see him recover, and she feels the trust he places in her as he begins to desire positive changes in his life. When mysterious life-threatening events begin happening around the lighthouse, Ryan and Caroline must work together to discover who is trying to bring them harm, and continue to fight against their respective battles of addiction and self-reliance. I really enjoyed Caroline as a character. Her emotions as a big sister rang very true to what I feel as I help raise my younger siblings. There's no sacrifice that would be too great for them, and Caroline reflects this beautifully. The way Ryan sees this in her and decides to become the champion of the caretaker touched me in a personal way. I also enjoyed the fact that both characters, while falling in love with each other, realized that they needed to rely on the Lord and lean on His strength rather that solely looking to what they could give one another as flawed human beings. There are twists and turns in the plot and both victories and failures for the characters. I feel like some would be bothered by the women's rights aspect of the story, but given that the plotline was based loosely on a real life situation I thought it added an extra layer of historical depth to the novel. All in all, I think this is my new favorite of Jody Hedlund's stories! I received my copy of the book from LitFuse Publicity in exchange for this honest review. All opinions are my own. Revisiting the Michigan shoreline in this installment of her Beacons of Hope series, Jody Hedlund gives us the story of Emma, a young Irish woman who feels like the opportunity to have a home and family of her own might have passed her by due to her family's nomadic lifestyle. When a shipwreck lands Emma and her brother on Presque Isle, a marriage of convenience may give her a place to belong at last. Patrick Garraty has a troubled past full of bad decisions, but since giving his life to the Lord he has been able to see many things restored to him. Unfortunately a happy marriage was not part of that picture. 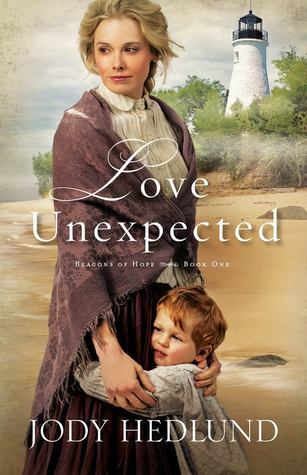 Now that his wife has died, Patrick is looking at either losing his job as lighthouse keeper or losing his son, as he cannot care for both the light and Josiah. When his good friend and spiritual mentor suggests marrying the young woman now stranded on the island, Patrick isn't sure he wants to risk his heart again on someone might reject him because of the ghosts that haunt him. Telling her only that he hasn't always been proud of the things he's done, Patrick and Emma agree to the suggested marriage. She's never had experience with childcare or housekeeping, and she's afraid Patrick will find fault with her and send her away. Meanwhile he's certain that she will want to leave as soon as she hears rumors about the shady things he's done. When indeed the local gossips begin to tell her tales, her admiration for the kind and gentle man she knows begins to dim. Her questions grow more urgent when Patrick rescues a man who turns out to be a pirate - and a close friend from long ago. Will the secrets of the past tear apart any hope for a future? This was a very fast read. Heavier on the romance than I prefer, but it did keep me glued to the pages with some unexpected twists and turns. The next book in the series is on my To Read pile, so look for that review coming up soon. Lady Rosemarie has spent the past four years preparing to fulfill the vow her parents made on her life. She's come to terms with the unusual requirements and is ready to embrace what appears to be her calling. When the Duke of Rivenshire, her godfather, arrives for an unexpected visit, he has some shocking news for her. There's an exception to the vow, which he believes her parents meant for her to find. The exception states she must fall in love and marry before sundown on her eighteenth birthday, which is only one month away. After years of quiet preparation and not much contact with the rest of the world, this seems an unrealistic idea, even if the duke has brought his three most trusted knights to try to win her hand. Wouldn't it be better to go through with the vow rather than risk heartbreak and dissatisfaction at the end of the month? After serious reflection, Rosemarie decides that she can't find out God's will unless she gives the knights a chance. Sir Collin, Sir Bennet, and Sir Derrick are all handsome and brave, and soon two of them are showering her with gifts, compliments, and lavish attention. The other seems more focused on meeting Rosemarie in her daily tasks of taking care of her people, and encouraging her to be strong as she prepares to take over full leadership of her land. Although the attention of the more ardent suitors is flattering, it's the sincerity of the third that draws Lady Rosemarie to him. As the month unfolds, mysterious events begin happening. Two of the knights almost lose their lives to attempted murder, strange outbreaks of illness occur throughout Rosemarie's realm, and the local sheriff is killed in a brutal attack. Meanwhile Rosemarie's guardians and guides have very different opinions about which route she should take for her future, and her own heart is torn over the decisions in front of her. But she might not even be able to make the choice, as an evil influence is working against her to take away her options and force the outcome that best favors his own intentions. I believe one of the author's chief goals with this story was to show the target audience that choosing a life mate is more about character and similar life convictions than it is about excitement or the delights of a moment. This theme is really excellently done. The plot has a fast pace and the emotions keep you turning pages to see if Rosemarie will end up safe and sound and with the knight who has won over not only her affections but those of the reader as well. I also appreciated the theme of leadership and the exploration of what courage really means. To be courageous and a good leader doesn't mean to be brash or to necessarily be the first to rush into battle. Sometimes it means the most when taken in the form of humility. It means being able to put the good of others in front of your own desires. These lessons are learned by our main characters in resonating ways. This story appears to be the first in a series and thus the ending is a bit of a cliffhanger, but that just means there is more to look forward to from this author in the future. Thank you to the publisher for my copy of the book, which was given in exchange for this honest review. All opinions are my own. 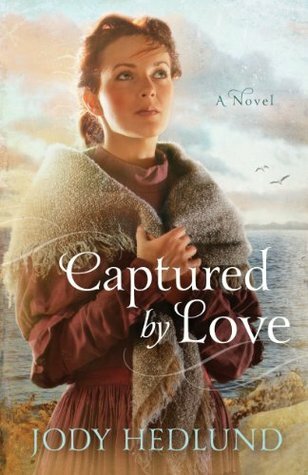 When I heard that Christian historical romance author Jody Hedlund was going to be branching out into young adult medieval fiction, I was excited and curious as to how that would work out. 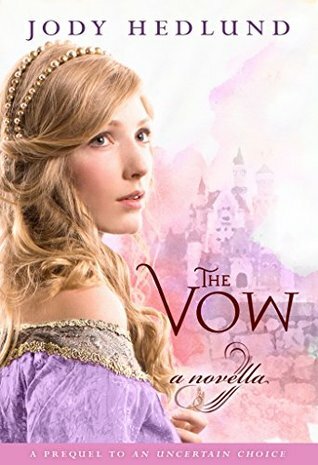 "The Vow" is a prequel novella to her March 2015 full-length release; in other words, it's a 7-chapter prologue. That's important for you to know. 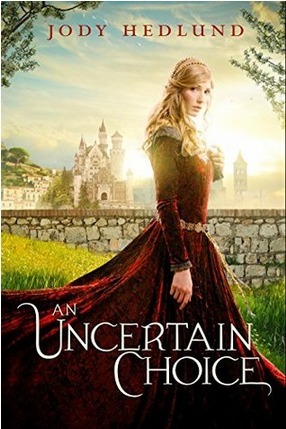 I wouldn't recommend reading this as a stand-alone, but if you plan to read "An Uncertain Choice," you might find it worth your time and the $1.99 price tag. The year is 1386, and Lady Rosemarie is the only child of a wealthy landowner. At age 14 she is beginning to think seriously about ruling her lands one day, as well as finding the right young man who will help her with her task. She is already receiving attention from Thomas, the son of a neighboring lord, and her parents seem to approve as their relationship grows closer. When the dreaded plague breaks out, Rosemarie is sent to the nearby abbey in order to avoid exposure. Rosemarie chafes against the protection of the monks and the seclusion from her parents and her people. When she is finally allowed to go back to the manor, Rosemarie discovers that before her birth her parents took a vow that will change every expected course for her future. It's a unique twist that took me by surprise! Similar to the other Hedlund novella I reviewed last week, I found this story lacking the polish that comes with a full-length novel. This could also be because the heroine is at this point a young teenager with some annoying habits and a sureness that she has the correct view on life at such a young age. I thought these problems mostly resolved themselves in "An Uncertain Choice," which was a relief. As stated earlier, I wouldn't recommend this novella on its own, as it is a prologue which will leave you hanging and unsatisfied unless you have the follow-up on hand. Thankfully I did, and stay tuned for that review in the near future. Last week I reviewed one free Kindle novella, and I'm back to tell you about another today. You can pick up this title at this link free of charge. In the past I've stayed away from novellas because I tend to like stories that I can really sink my teeth into, with time for proper plot development, character growth, and relatable struggles. Unfortunately this one did nothing to change my general rule. The plot was one-dimensional, the characters were boring and unrealistic, and relatable struggles were not on the radar. I did not enjoy reading this, even brief as it was, and takes the author down a notch in my estimation. The heroine, Isabelle, has lived an isolated life, tucked away at the lighthouse which her father maintains. When remnants of a wrecked ship wash ashore their rocky beach, Isabelle and her father try to save the life of the lone survivor, who turns out to be a wealthy, spoiled flirt. Everything predictable follows, except there's a random medical malady broadly hinted at, until it is finally confessed and proves, of course, to be no obstacle in the end. 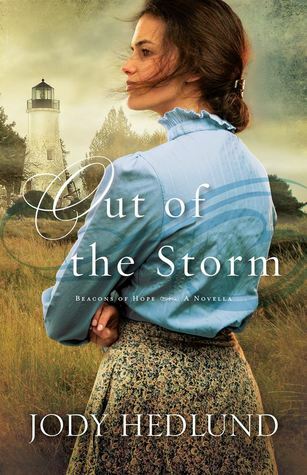 Although I usually quite enjoy Jody Hedlund's stories and have in fact been reading more of her works since finishing this one, "Out of the Storm" has already been deleted off my Kindle with no regrets. I hope my next review might be more favorable! You know there are two constants with Jody Hedlund books: The history is going to be good, and you are not going to want to put the book down. You just have to know what happens next! 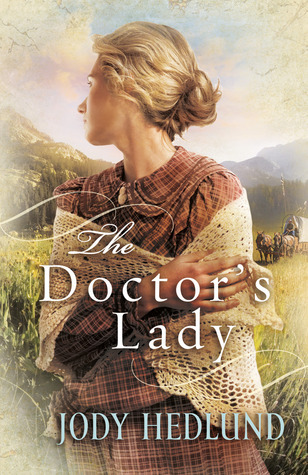 "The Doctor's Lady" is based on the events of real-life missionaries Marcus and Narcissa Whitman in 1836. In the novel their names have been changed to Eli and Priscilla, and both of them had a heart for missions but neither was allowed by their mission board to go into the field without being married. So in February 1836, when they were hardly more than strangers to each other, Eli and Priscilla married, and soon afterwards began their journey to what would later be Washington state. It is real historical fact that Narcissa Whitman and her fellow missionary Eliza Spalding were the first white women to cross the Rocky Mountains, setting precedence for the blazing of the Oregon Trail. This novel follows Eli and Priscilla's seven-month journey, and details things like their various means of conveyance (sleigh, steamboat, and wagon), their need to rely on fur traders who did not view their undertaking kindly, and their first encounters with different Indian tribes. I found it interesting that Hedlund probed into Priscilla's motivation to become a missionary. Along her conviction that it was the Lord's will, Hedlund speculated that an illness had left Priscilla infertile and her desire to be a missionary was a comfort to her in this loss. Narcissa Whitman did have one child when she was 29, but that is after the close of this novel. The story also focuses on what was first a marriage of convenience between Eli and Priscilla, as they get to know one another and come to share more than a joint purpose together. After finishing the novel I have done more reading online about the lives of Marcus and Narcissa Whitman, who ended up losing their lives in an Indian massacre eleven years into their mission work. Life among the Indians had been hard and very different than what Narcissa had envisioned. I'm thankful for the opportunity to have learned more about this couple and the way they made their mark on history. Jody Hedlund's latest release is set in a fascinating time and location. Taking place on Mackinac Island in 1814 (then called Michilimackinac Island), it prominently features the hardships that those in northern Michigan faced at the tail end of the War of 1812. The British held control of the island fort and there were many shortages of supplies because of various American blockades. I found the historical aspect of this novel to be one of its strongest points, as it's unique to anything I've read before. Our main character is Angelique, who loves Michilimackinac Island and never wants to leave. Her fiance refused to sign an oath of alliance to the British so he and other loyal Americans had been forced to evacuate the island two years prior. Angelique spends as much time as she can helping her fiance's blind mother, but her own tyrannical stepfather is highly disapproving and often punishes her with isolation and hunger. The highlight of every year is springtime, when the voyageurs, or fur trappers, return from their winter travels with a large bounty. This spring brings back Pierre, the brother of Angelique's fiance, who had left many years earlier after a falling out with his family. Pierre has now become a double agent spy and must keep his true American loyalties disguised even as he is given special treatment by the British on the island. Angelique loved Pierre before he went away, and his return has clouded her heart with confusion. Pierre viewed her as a little sister, but the blossoming woman before him forces him to acknowledge that he may be drawn to her in more than a brotherly way. Angelique wants to honor her commitment to her fiance, and knows there is no security in a future with Pierre, as his heart as a voyageur belongs to the wilderness. Pierre struggles with wanting to do the right thing in all areas, including his spy alliances. When his brother comes home and battles erupt between the armies fighting for control of the army, all must decide their course of action and face the consequences which may befall them. The characters and their storylines did not particularly draw me in this time. I just did not connect with them, and felt there was a high level of predictability. Due to some content, I wouldn't recommend this book for younger readers or those for whom abusive situations are triggering. The history lover in me found that facet the most engaging, and left me doing research on my own to learn more, which is always the mark of an excellent writer. 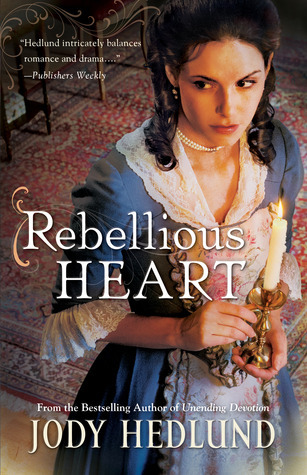 Jody Hedlund is a delight for all those who enjoy historical romance! My copy of the book was provided by the publisher in exchange for this honest review. All opinions are my own. Set in 1763, this novel is loosely based on the courtship of John & Abigail Adams. In typical Jody Hedlund style, you should be warned that this book is of the "I can't put this down!" variety. I loved going to Colonial Massachusetts and being reminded of what our founding fathers faced before the United States was its own nation. Susanna Smith is a young woman very interested in education, and feels slighted that girls are not given the same opportunities for learning that their brothers are. She's very idealistic when it comes to the British rule over the colonies, until her views are challenged by a runaway indentured servant who was badly mistreated by her master. Feeling the laws of God are higher than the laws of man, Susanna agrees to secretly shelter the girl, but enlists the help of lawyer Benjamin Ross to see if they can find a way to legally protect the victim. Ben is facing an uphill battle to earn the respect of his peers. The son of a simple farmer, Ben feels he must make an advantageous match in order to increase his social standing and make people take him seriously. Susanna doesn't have the inheritance to match his aspirations, but he is taken with her beauty, the depth of her thoughtfulness, and the fact that she trusts him with her secret. Ben is also outraged over the increasing taxes the British are imposing upon the colonists, and is doing what he can to find ways around the unjust laws. His activities have him under close surveillance by the local troops, and his main worry about being friends with Susanna is bringing her into the danger that dogs him. At first I wasn't sure I would like the portrayal of either main characters. They are both rather proud, and Ben would use sarcasm in very hurtful ways. But as they got to know each other and understand where the other was coming from, everything came together. I also thought the story was heavy on the romance, but no more so than other Jody Hedlund books. They are definitely historical romance rather than just historical fiction. I do recommend her books, with a dose of discretion alongside. I will certainly be following her future releases! I received my copy from the publisher in exchange for this honest review. All opinions are my own. This is the second Jody Hedlund book I have read, and I have learned this very important thing in the process: Do not start reading one of her novels unless you have time to sit and read it! She hooks you in and captures your imagination, and the fact that you don't know how the story wraps up will be ever-present in the back of your mind until you sit down and finish the book. All in the best possible way, of course! It's tortuous and thoroughly enjoyable all at the same time. Please tell me you know what I'm talking about. This story is based on the life of John Bunyan, writer of Pilgrim's Progress, and his wife Elizabeth. We come upon the scene when John's first wife has died after giving birth to their fourth child. As well as supporting his family as a tinker, John's ministry is beginning to really take off. Rarely having time at home, the church leaders insist upon hiring a housekeeper to help manage his children and household affairs. Enter Elizabeth, a plain but outspoken young woman who is promised to be wed to another at summer's end. Elizabeth falls in love with all of John's children and fights for the life of the baby when many others think he is too weak to survive. She draws especially close to 8-year-old Mary, whose blindness allows her a deep perception into those around her. John faces many enemies because of his preaching. The Anglican church frowned upon him because he was neither properly trained nor had obtained a preaching license. Those who would put a stop to his ministry decide to attack where it would hurt John most: his home, his children, and his housekeeper. Elizabeth must decide if the threats against her life are enough to make her step down from her position. I read several reviews about this book that complained about finding John selfish and stubborn and hard to relate to. Although he certainly was stubborn, I thought his emotions came through just fine. He was a man under a call to preach at a time when it was illegal to do so unless you agreed with the doctribes outlined by the government. That's a hard place to be in. A passionate man, John's love for his family was very much part of who he was, even if the way he acted upon those feelings was misguided at times. Another complaint I've seen leveled against this novel was the portrayal of Elizabeth. I actually strongly related to Elizabeth, as a hardworking woman more likely to be steady in the background than flitting playfully in the center of attention. As her choices to be faithful in the ministry entrusted to her required more and more of her life and dreams to be taken away, my heart ached for her. I thought both characterizations were well done. Though the author took some liberties with the historical account, as soon as I finished this novel I was online researching more about John Bunyan's life. That's the mark of great historical fiction. I really did enjoy this one and will continue catching up on Jody Hedlund's previous releases as I have opportunity. I'm happy there are many very talented authors in this, my favorite genre! The story revolves around young widow Annalisa, whose harsh and unloving husband has left her one little girl, another baby on the way, and a farm which is close to being lost to the bank. Annalisa's father decides the solution is to write to their German homeland and have his brother send a hard-working man to marry Annalisa and try to save the farm. While waiting for her new groom to arrive, a stranger shows up at the farm. It's not her groom, but another man her uncle has sent to help her until the man he's selected can come. Carl isn't exactly what he appears, though. A rich and pampered nobleman who was falsely accused of murder, Carl fled Germany and the authories who wanted to execute him. He has changed his name and conveniently leaves out certain things when getting to know his new acquaintances. Annalisa and the German immigrant community can tell he's not experienced at farmwork, but he's willing to try and give it his best, especially when he sees ways that he can make their hard and often-deprived lives a little better. As the months pass, Annalisa wonders how she could marry another man when Carl has so captured her heart. She's never known such kindness or care. But Carl has plans to leave as soon as Annalisa's future is secured, even though he is drawn to her as well. Plus there's his background to contend with, should his real identity be discovered. This book was heavy on the romantic side of historical romance, but there were plenty of good plot elements and minor characters, too. I especially enjoyed the community pastor and his wife, and how their wisdom and relationship wound through the story. Carl's scientific approach to everything also entertained me. I am definitely interested in reading more of Hedlund's books and seeing more of her writing style. Some of her previous books are now on my wishlist, so be watching this space for reviews of them in the future. I received a copy of this book from the publisher in exchange for this honest review. All opinions are my own.